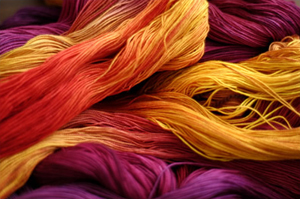 Amardeep Dyes & Intermediates Limited is a highly professional company engaged in Manufacturing & Exporting of Reactive Dyes (VS Based Dyes) which are called Synthetic Organic Dyes used for Cotton Fabrics & Printing. Textile industry is one of the leading industries in the world today, and we add color to this Textile Industry through our wide range of Quality Reactive Dyes (R.O. Salt Free). ADIL’s continued growth is due to its valued customers & their continued patronage. Supported by complete customer technical services, a dedicated management & workforce and sound finance. ADIL values a high reputation both in the domestic and international market. Our Production, Sales & Distribution and Laboratory facilities for Reactive Dyes are located in Ahmedabad, Gujarat, India. Our technical team has been devoted to the research of dyes and has made great achievements in technology innovation, which guarantees our products containing none of the dyestuff components and hazardous intermediates forbidden by any international & national norms. The objective of this web site is to help you know more about our company, our products and Our Services in Dyes Industry. We aim to serve our customer and earn their satisfaction in terms of quality and services without making any compromise. We strictly believe this ideologue and take due care to maintain this attitude. We update our website almost everyday to post new products. ADIL supplies Reactive dyes in various forms like standardized Spray Dried/ Tray Dried, Powder /Granular, Crude & Reverse Osmosis.